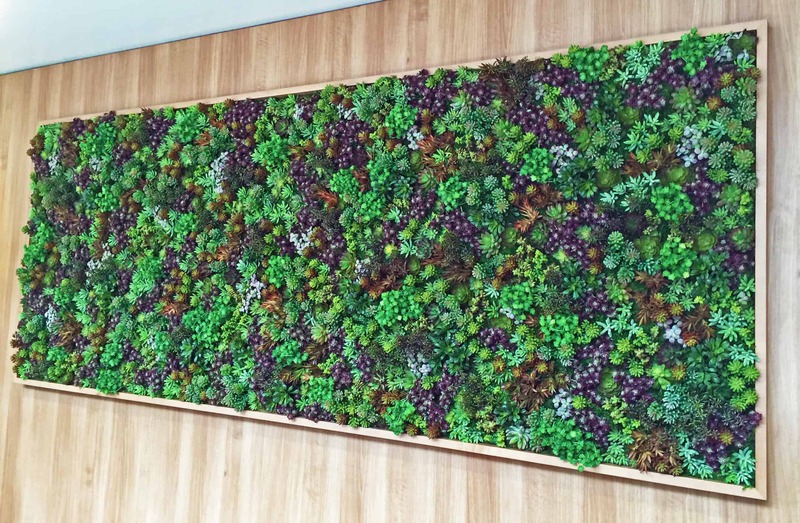 A well-known medical company in Newport Beach understands the healing benefits of plants for their patients and collaborates with us to integrate a softness in their surroundings. 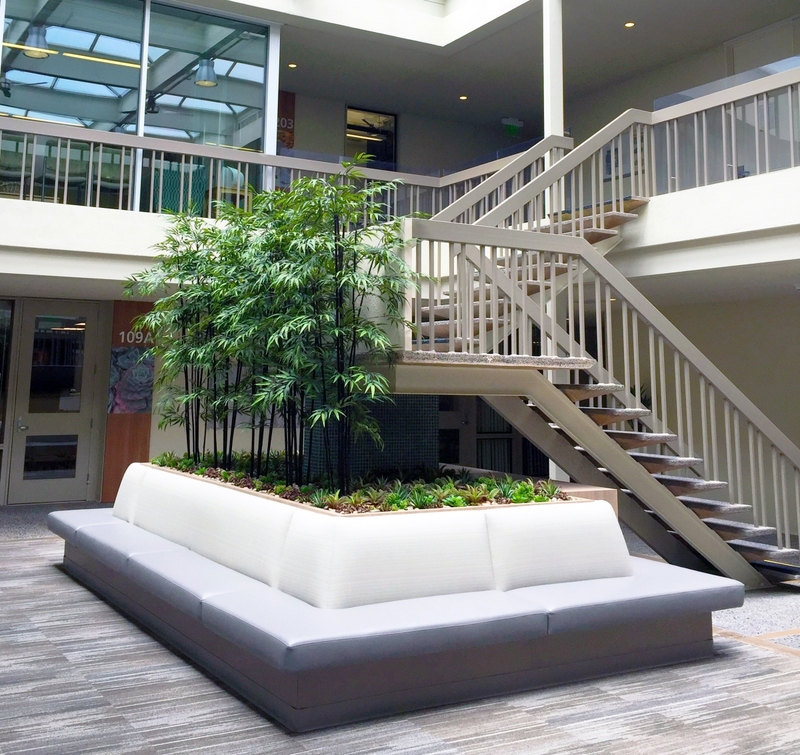 Just recently Plantscapers’ design consultant, Susi Tomich, worked directly with the architectural firm LPA, to establish an inviting plant design for a major remodel. 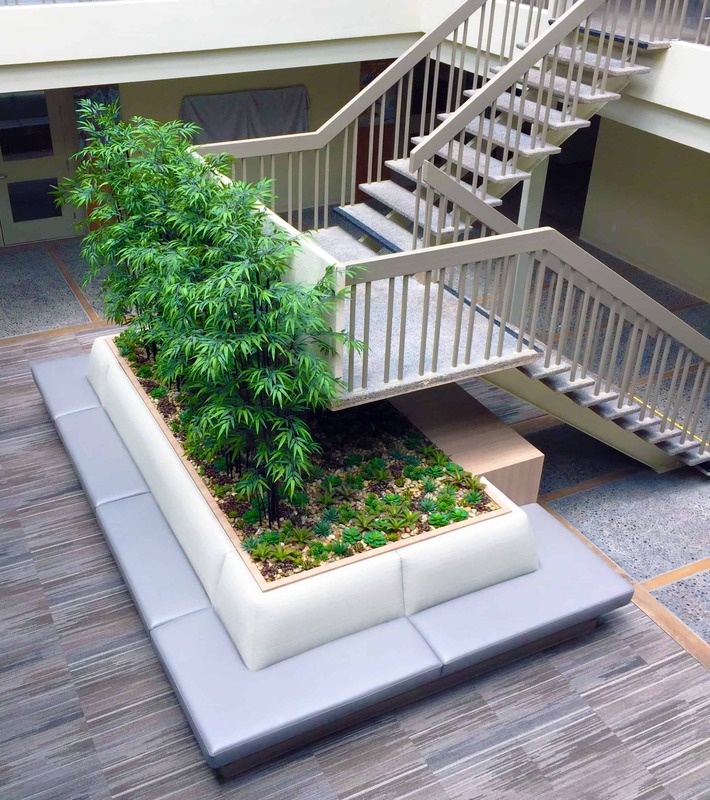 A wonderful feature of the design is a banquette-style bench planter that encourages people to sit and relax by the 60 sq. ft. greenery. 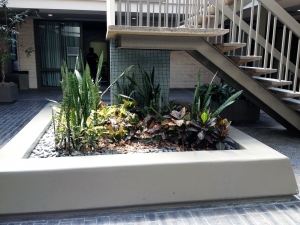 Another neat fact is the 7 ft. tall bamboo trees that shade one side of the planter are actually replica plants. 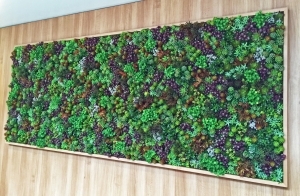 There is also a 4’ x 10’ wall of replica sedum (type of succulents) that covers the back of the reception area. Replicas (non-living plants) still provide the beauty and relaxation that live plants give. 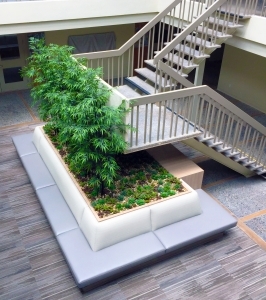 And for a busy medical facility utilizing replica plants allows for very little maintenance, which is easily provided by Plantscapers for once-a-week dusting and upkeep. Sometimes certain challenges pop-up for the Plantscapers team while working their magic. For this remodel, though onsite field measurements were not possible until the day of installation, the putting in place of over 1,100 replica plants came off without a hitch. The architect originally came up with the idea to mask the staircase. BEFORE and AFTER pictures show the incredible difference made by utilizing the artistry of plants. This was an ingenious way to bring more focus to the atrium and limit the prominence of the stairs in the background.